A minority language is a language spoken by a minority of a country or area. One of particular interest to us here at Lingua Translations is Welsh. 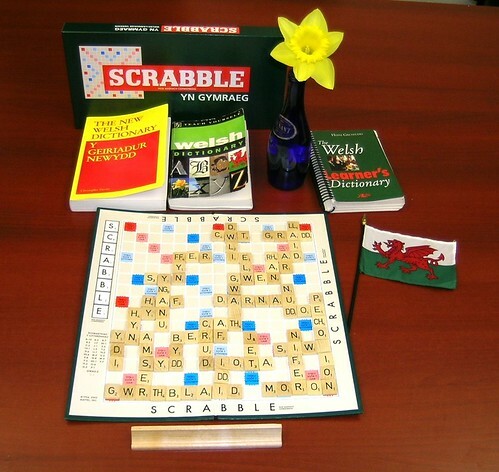 Welsh is a Celtic language originating in Wales, and there are currently approximately 580,000 Welsh speakers in Wales, which represents around 21% of the population. Thankfully, the Welsh Assembly has put great effort into reviving the Welsh language, and in recent years there has been a surge of interest in the language. With the opening of new Welsh medium primary schools, and parents learning the language to support their children, we are optimistic that we will see these figures increasing in the future. No matter where you go in Wales, the language can be seen everywhere. All of our road signs appear in both Welsh and English and many publications are available in both languages. Surprisingly, Wales isn’t the only country where Welsh is spoken, it is also spoken in the Chubut province in the southern part of Argentina. In 1865 the Mimosa ship brought Welsh people to the Chubut Valley area of Argentina, where they settled and became known as Y Wladfa. There is now a population of around 50,000 Welsh Argentinians centred around Gaiman, Trelew and Trevellin. Basque is a minority language, which has the status of an official language in Spain. The Basque language comes from the Basque country in the Northeast of Spain and Southwest of France. On the Spanish side of the border there are approximately 614,000 speakers of the Basque language, and on the French side, approximately 51,000 speakers. Basque is a language isolate, meaning that the origins of the language are unknown and it has no living language relatives. During the Spanish Civil War, Franco attempted to increase the dominance of the Spanish language in Spain, meaning that regional languages, including Basque were discouraged. However, with the rise of Basque nationalism in recent years there has been increased interest in the language, and following the establishment of the Basque autonomous government, the majority of students are now educated in the Basque language. Quechua is a South American minority language, widely spoken amongst the indigenous Americans. It is one of the official languages of Bolivia and Peru and today there are approximately 10 million speakers of Quechua. Unfortunately there is currently a lack of written materials in Quechua, meaning that it is mainly an oral language, however it has recently been introduced in Intercultural Bilingual Education in Peru, Bolivia and Ecuador. South American Spanish loans many words from Quechua and the two languages are becoming intermixed, with many Spanish speakers choosing to use Quechua vocabulary whilst speaking Spanish, and vice versa. For information about the diverse range of languages we work with, please visit our languages page.